Halloumi is hands down the best cheese, and let’s face it, all cheese is pretty great. Now Nando’s have released a dreamy new starter; Halloumi Sticks & Dip. This delish dish looks set to be your new Nando’s obsession. This could potentially even overtake the phenomenally popular humus and pitta dish, although let’s not get ahead of ourselves. The famous squeaky cheese has long been the perfect compliment to Nando’s fiery brand of Southern African PERi-PERi chicken, and is now rewarded with its very own starter. 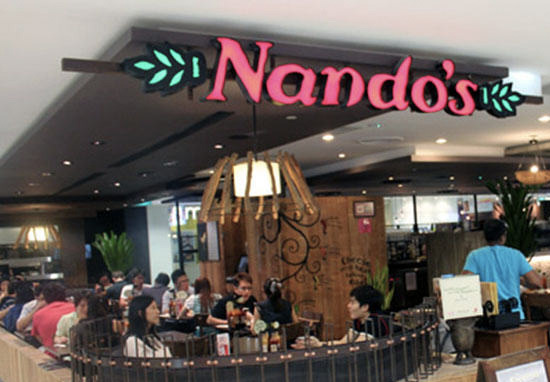 After tweeting a close up image of the halloumi, Nando’s left its customers in a puddle of lust; all drooling for the dish and aching to try it. Don't leave it there, send it to my house. And this isn’t the only new item to jazz up the Nando’s canon. The Veggie Cataplana is also set to make it’s debut; and it looks exceedingly flavoursome. Nando’s refreshing twist on the traditional dish is not one to miss this spring. @Wrightyyy101 haloumi fries mate….?? get the booze bus let’s go ? You can have a nibble on these from 27th February onwards. The halloumi sticks are priced at £3.70, with the Veggie Cataplana setting you back £6.45. I think I will just take both to be honest, who am I even kidding with this whole ‘don’t give into temptation’ lark. I am certain I am not the only Nando’s-goer to be squeaking with excitement right now, much like this champion among cheeses.